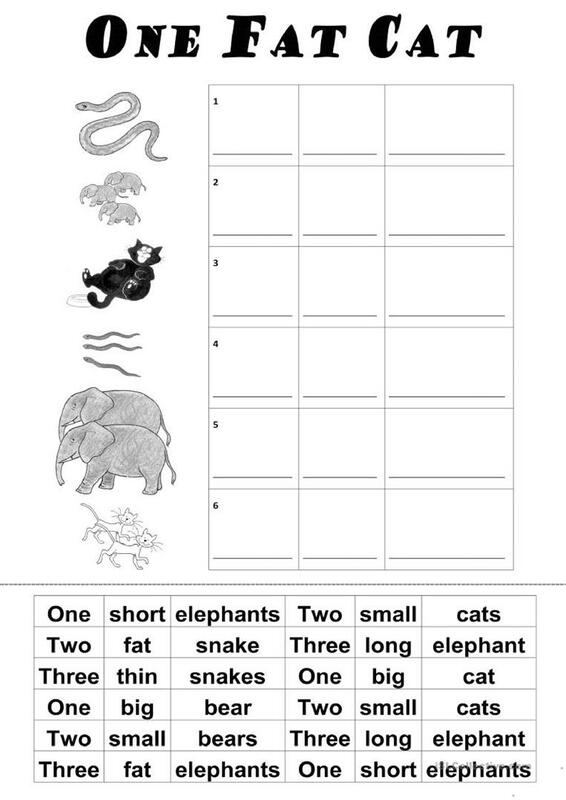 Students cut out the words at the bottom of the sheet to form sentences to match the pictures describing the quantity, size and type of animals e.g. the first sentence will be "One long snake"
The present downloadable handout is best suited for elementary school students at Elementary (A1) level. It is great for consolidating Adjectives in English, and was designed for strengthening your pupils' Reading and Writing skills. It is about the topic and words of Animals.